POSTED: Mon, 05/05/2014 - 05:00 | POSTED BY: Traci C.
After hibernating for the last few months, the 'Festival of the Lion King' is set to return to Disney's Animal Kingdom this summer. 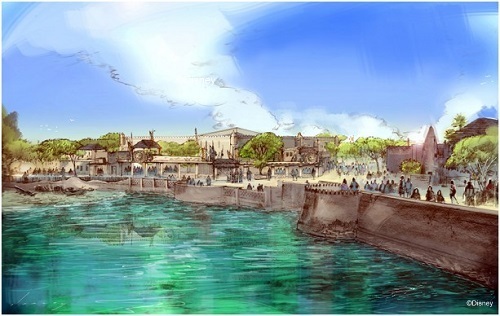 The show went on hiatus in January of this year as construction for the park's Avatar-inspired land started. The 'Festival of the Lion King' is scheduled to return to Disney's Animal Kingdom in June, but no official date has been announced. The live show features songs from the hit movie in addition to dancers, acrobats, floats, and a fire twirler. When it reopens, the show will run daily in the new Harambe Theater. This new theater is located in the Africa section of Disney's Animal Kingdom. The Harambe Theater is also home to the just-announced Harambe Nights experience that includes 'The Lion King Concert in the Wild' and an African-themed buffet and street party. Disney's The Lion King is celebrating its 20th anniversary this year. I know a LOT of people will be very excited about this return, and I hear the new theater is lovely. I just can't wait until I get there!!! I love FOLK. The best reason to go to AK. Love, the lion King show, I hope it is open in early June.